CBSE board exams 2018 have begun today at 4453 centres nationwide. Exams are also being held at 78 centres outside India. While 16,38,428 candidates have registered for CBSE class 10 examination, 11,86,306 candidates have registered for class 12 annual examination. This year a total of 4,510 and 2,846 differently-abled candidates have registered for class 10 and 12 examinations respectively. After seven years class 10 board exams will be conducted by the Board after it decided to scrap Comprehensive and Continuous Evaluation (CCE). Class 12 students are appearing for English paper, today. 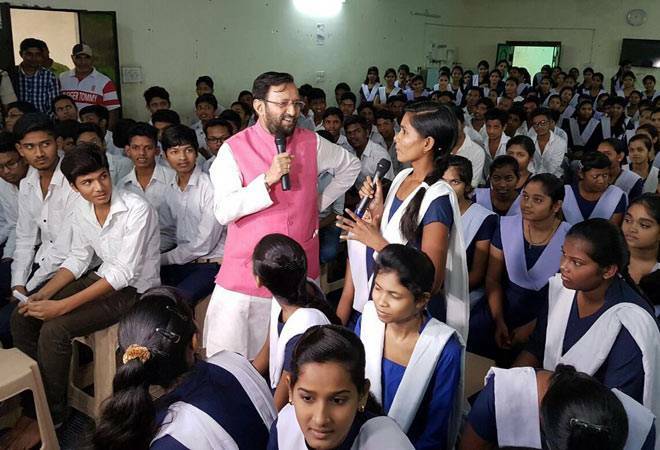 HRD Minister Prakash Javadekar also wished good luck to students, today. ‘My best wishes to all class 10th & 12th students for the board exams starting from today. PM said it wonderfully in #ExamWarriors that ‘Examination is a celebration. Take it as a festival & smile more to score more’ he tweeted. During the exam days, candidates should follow a proper routine so that they manage the gaps properly. Students should rest properly on the exam days; atleast eight hours of sleep everyday is a must to relax mind. Try to follow a healthy diet in these last crucial hours and that is going to help you in myriad ways. As a ‘one time measure’ for the Class 10 students of this batch, the Board has decided to relax the pass mark criteria. As per the norm, in order to pass, a student has to secure total 33%. The Board has warned exam centres of fake mails, WhatsApp texts asking for copies of question paper for verification. The Board has urged not to send copies of any question paper and maintain the sanctity of the exam. At the end of everything, what matters more is the score card. Everyone studies hard to fetch good marks. In such cases students should know how to write an ‘ideal’ answer which can really get the desired marks. CBSE has released model answer copies, which, students can follow to get an idea on how a perfect answer should be written. Students should also remember, apart from correctness of the answer, the Board also emphasizes on cleanliness and proper presentation of the answer script. CBSE has released sample question papers as well. NDTV has also published subject wise preparation tips from experts and teachers of leading CBSE affiliated schools.